Somewhere deep in your brain is a hard wired, little mass of cells that determines how you react in a life threatening situation. Understanding it’s role, how to work with it’s affects, and relating these to students is part of my job, so when a fellow Ranger suggested another book on the topic, I picked it up used off Amazon. Go to any bookstore and thumb through the survival books and most of them are reprinted garbage with illustrations from some old army manual. Fortunately, the realm of psychology and survival has not been subjected to this “plagiarize and regurgitate” writing style yet. 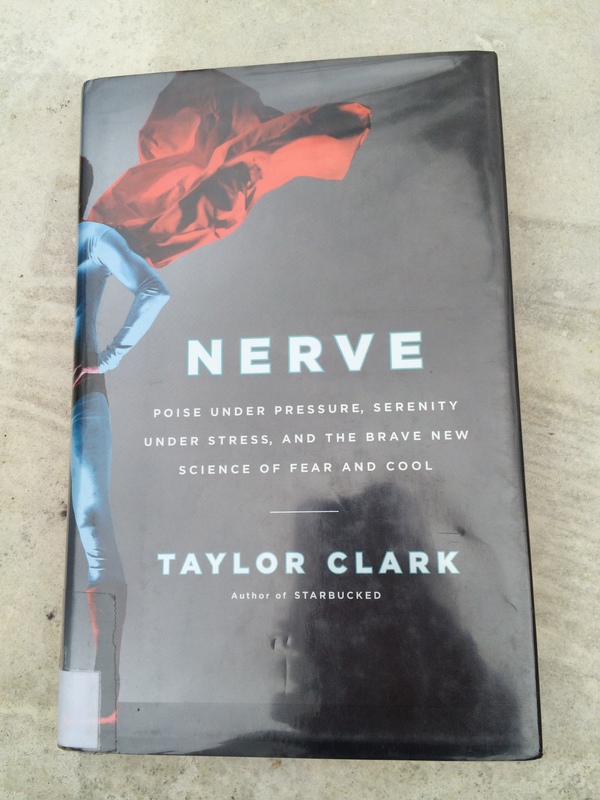 “Nerve” by Taylor Clark, gives a good overview of the body’s reaction under stress and true accounts from sports, entertainment, the battlefield, and a few disasters. Since I have read plenty of true stories over the years, I found the dozen practical tips on working with the adrenaline stress response to be most valuable, but nothing groundbreaking. The “suggested reading” section is a good addition and includes some good titles in their respective fields, like Grossman and Gonzales. Overall, I found the book well written, enjoyable, and worth the five bucks I spent on it. I am going to give it a seven out of ten because I would much rather someone read a book on their brain and it’s role in survival, than read another technique book full of crap that the author has never tried. This entry was posted in Books and tagged adrenaline, amygdala, fight or flight, Nerve, Search and rescue stories, wilderness survival, wilderness survival stories on December 31, 2014 by bigpigoutdoors.